There's nothing better than an outfit that's comfortable and completely stylish, right? To get the best of both worlds, try a low block heel, like this fashion blogger did. This strappy, yet casual shoe is making waves on the fashion circuit right now, and for good reason. You can walk or run, do errands, or grab a drink, go to the movies or shop up fashionable late for a late summer night, in these shoes. 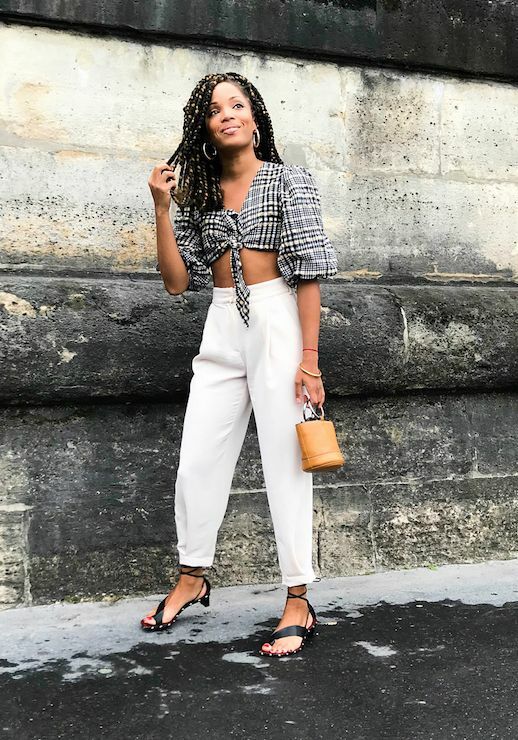 Add a cropped plaid blouse (print of the season) and a pair of white pants for the coolest look.